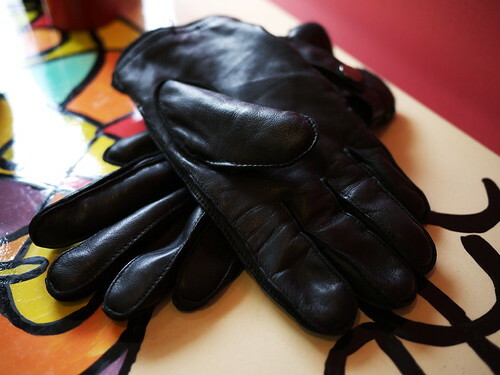 Ladies and gentlemen, it is with great sadness that I report the loss of one of these gloves. I loved these gloves. They were durable, warm, and they gave me a feeling of security and success whenever I slipped them on. And now one of them is lost forever, awash on the floating current of the world. I’ve forgotten the precise circumstances surrounding its loss. And by next September, when the weather turns cool enough to warrant handwear, I’ll have forgotten that I lost it in the first place. I guarantee one full afternoon of walking around the apartment, waving one glove around, hoping in vain that one glove will summon the other. Then it’ll hit me that I no longer have two gloves. Then I’ll wonder why I didn’t throw out the remaining glove. Then I’ll put it away again. The future, people.